You can place your order through our proprietary online ordering system, ngcdirect. Upon approval of your account you can start placing all your Gift Card and eGift Card orders. Access your account at www.ngcdirect.com, add the items you want to your cart, choose your desired shipping and payment method, make sure to enter your accurate billing and shipping information and you are done! If you need assistance setting up your account, call 1.888.991.7261. Our customer service representatives are available Monday through Friday, 8:30 a.m. to 5:00 p.m. CST. What should I do if I forgot my username and password for ngcdirect? Should you forget your username and password for ngcdirect, click the ‘FORGOT YOUR PASSWORD’ link under the login boxes on ngcdirect.com. A link will be sent to you to reset your login information. I can’t find a certain denomination on ngcdirect, what should I do? Contact one of our customer service representatives at customerservice@ngc-group.com or call 1.888.991.7261. Our knowledgeable customer service team is available to assist you Monday through Friday, 8:30 a.m. to 5:00 p.m. CST. Can I modify my order after I submitted it? Please make your selections carefully as all transactions are final. If you need special assistance with an order you can contact your Account Representative or email our customer service team at customerservice@ngc-group.com. You will receive email notifications with your order statuses. You will receive an email order confirmation indicating that we received your order successfully. Once your order is processed and shipped, you will receive an email confirmation with your package’s tracking number. You can also find all your order status information in your NGCdirect account, under ‘Order History’. Make your Gift Card selections carefully as ALL SALES ARE FINAL. If you have any further questions please contact your Account Representative or call us at 1.888.991.7261.
eGift Cards are sent to the recipients via email so they can be printed out. Gift Cards are sent to the recipients via mail in form of physical plastic cards or paper certificates. How can I place a bulk eGift Card order? Access your account at www.ngcdirect.com, add the items you want to your cart, complete your billing and shipping information, choose your desired payment method, make sure you enter the accurate email address in the shipping section and you are done! Are there any extra fees associated with the purchase of eGift Cards? For bulk eGift Card orders you will only be charged the price of the eGift Cards and we will not charge delivery or any other related fees. For individual fulfillment eGift Card orders you will be charged the price of the eGift Cards plus a delivery and customization fee when applicable. What will I receive when I place a bulk eGift Card order? You will receive a password-protected Excel file with the merchant/retailer name, denomination, SKU, and eGift Card secure URL. Depending on the merchant/retailer, a PIN or Challenge Code may also be included. Can we get the raw code? Why is it in the URL format? Most brands cannot or will not provide raw codes. The brands or their third party eCode providers encrypt the raw eCode into a URL string for security and fraud prevention. Contact your sales representative for more information if you need raw codes. You will receive an email order confirmation indicating that we received your order successfully. Once your order is processed you will receive an email alerting you that your order is ready to be downloaded. Your eGift cards will be downloaded from our EMS system. You will receive an email notifying you to create an account within our EMS where you can download your files, check your eCode order status and view past orders. Not at this time, make your selections carefully as all transactions are final. eGift Cards cannot be returned, blocked or replaced. If you need special assistance with an order contact your Account Representative or email us at customerservice@ngc-group.com. Yes and No. A better question is, "Can a cashier scan an eGift card off of my mobile device?" The answer to that is it depends on the brand. Check with the specific brand before using your eGift card. What do the recipients receive when I send individual eGift Cards? An email message is sent to your recipient list with a secure, encrypted URL to retrieve their eGift Card online. The URL in the email goes to a page showing the specific retailers’ eGift Card, its value and code number (and PIN, if necessary). This page also gives simple instructions for redeeming the eGift Card. How do you prevent the eGift Card email from getting lost as spam/junk? We adhere to all industry best practices to ensure successful delivery of the eGift Card via email. Still, there is a chance that the email will be treated as spam/junk or the recipient didn't notice it in their email inbox. Like physical mail that is returned by the post office as ‘undeliverable’, NGC can track email history for undeliverable or bounced messages. Should an email come back as a bounced message due to a bad/inaccurate email address, the customer will be notified with this information. NGC will resend the eGift Card to the recipient for an additional individual fulfillment fee. What if someone loses the eGift Card? An eGift Card has cash value and should be safeguarded as such. If you misplace your eGift Card, you can reprint it if you bookmarked it in your browser or click on the URL in the original email. Per retailer policies on eGift Cards, NGC cannot block and replace eGift Cards at this time. What happens if someone gets locked out of their eGift Card? When someone types a wrong PIN, the system will lock them out for 15 minutes. The only way to solve this is to wait the 15 minutes before trying again. There are no other means to unlock the eGift Cards. Do eGift Card recipients need a special printer? Most standard office and home printers are equipped to print eGift Cards. Some printers produce great results, and older printers sometimes don't print certain images well, but the most important thing is that the code number below the eGift Card is clear. 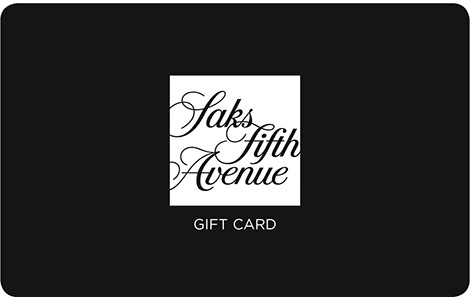 Do eGift Card recipients need to print in color? They do not need to print in color. WIRE: You send payment to our bank account via Wire Transfer. We will provide our bank account information upon request. ACH Credit: You send payment to our bank account via ACH (Automated Clearing House). We will provide our bank account information upon request. Credit Card: We accept American Express, Discover, MasterCard, and Visa credit, debit, or check cards. A 3.5% processing fee will be applied to all credit card orders. Where can I get my invoice to process payment? Your invoice will be generated during the check-out process, as a final step you can open it and print it out. When you submit your order, you will also receive an email confirmation with the same information. This information is also available in your NGCdirect account, under ‘Order History’. Each time you place an order through NGCdirect you will be able to choose your desired payment method. Your default payment method will be set when you sign up for your NGCdirect account, but you will be able to change it at any time. Can you store my credit card information? To ensure the security of your credit card information, we do not keep credit card information on file. We will need you to provide this information each time you would like to pay with a credit card. I just placed a Gift Card order, when is it going to ship? We process and ship all orders once payment is received and processed. Once we process your payment, it can take up to three (3) business days for your order to ship from our facility and up to four (4) business days during our Holiday Season (October 15 – January 15). All orders are processed during our regular business hours, Monday through Friday from 8:30 a.m. CST to 5:00 p.m. CST. If you placed your order after 1:00 p.m. CST, it might not be processed until the next business day. Once your order is shipped from our facility, you will receive an email confirmation with your tracking number. Tracking options vary by shipping company. You can choose a payment and shipping method that facilitate the process and receipt of your order, if you need assistance choosing the right method, you can contact your Account Representative or email our customer service team at customerservice@ngc-group.com. We are recognized for our rapid turnaround times but it can take up to three (3) business days for your order to ship from our facility and up to four (4) business days during the Holiday Season (October 15-January 15), after your payment is processed. Will I receive active Gift Cards? All Gift Cards will be active upon receipt unless otherwise noted. We offer various shipping options through our strategic partnership with FedEx. We offer FedEx Ground, Overnight, Priority Overnight, Second Day, and Saturday Delivery. We can also ship your orders using your own FedEx or UPS shipping account. What are the estimated shipping times for the different shipping methods? FedEx Ground: Items are delivered within three (3) to five (5) business days after shipment. FedEx Second Day: Items are delivered within two (2) business days after shipment. FedEx Overnight: Items are delivered the next business day after shipment. FedEx Priority Overnight: Items are delivered the next business day after shipment by 10:30 a.m.
FedEx Saturday Delivery: Items are delivered the next Saturday after shipment. Gift Cards can be shipped to valid street addresses within the United States and Canada. We also offer international shipping options. Contact your Account Representative or email us at customerservice@ngc-group.com for more information about our shipping options, you can also call 1.888.991.7261. Can you ship to a Post Office (P.O.) Box? For your protection we cannot ship Gift Cards to P.O. Boxes. Do you offer international gift cards and eGift cards? Yes, we offer more than 130 Canadian retail, restaurant and specialty Gift Cards and eGift Cards as well UK Gift Cards and Digital Gift Cards. Please contact your sales representative for more information on our international capabilities. Can you ship a partial order? We cannot ship partial orders. If you need special assistance with an order contact your Account Representative or email us at customerservice@ngc-group.com.